Sunon’s latest development of energy saving fans is our EC series, utilizing the advanced Electronically Commutated (EC) motor technology. EC fans are brushless DC motors that take Alternating Current, using electronic controllers to switch to a Direct Current to power the motor. Simply put, EC fans are a DC motor with an integrated AC to DC converter. EC fans give you the advantage of a DC fan, such as speed control by regulating the power to the motor. High efficiency motors lower power consumption by up to 75%, which translates into a significantly reduced operation cost. This is especially crucial in order to meet Energy Star standards and requirements in consumer market. Furthermore, EC motors run cool and dramatically reduce the amount of heat produced by a standard AC fan. In comparison to traditional AC motors, EC motors offer lower power consumption, longer life, more compact assembly, and are virtually silent using speed control. 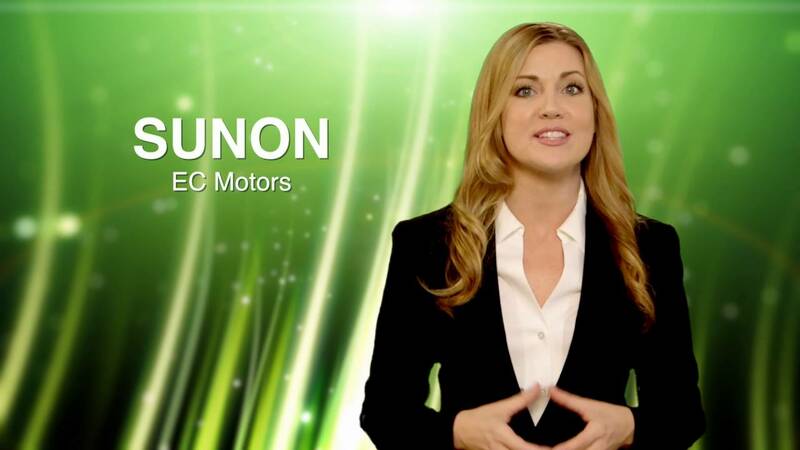 Sunon’s new advanced EC technology is designed as energy saving replacements of traditional AC motors used in a variety of applications. With the ever-changing efficiency requirement set by Energy Star and TUV, these EC fans are great solutions for white goods, home and industrial appliances such as refrigerators, freezers, vending machines, and air conditioners.